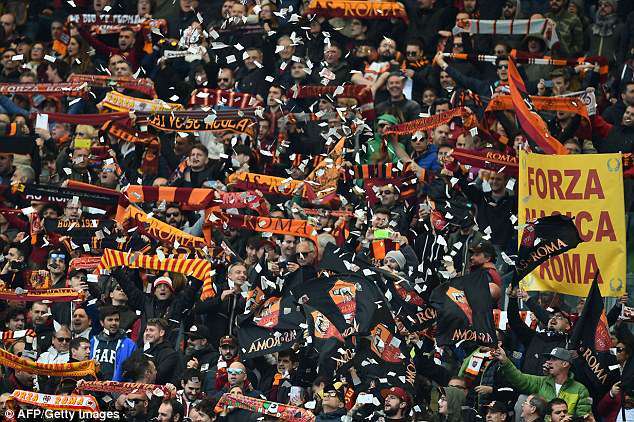 Italian police have fuelled tensions ahead of Liverpool’s visit to Rome this week with a bizarre claim that 1,000 ‘Ultras’ from Merseyside will be in the capital for the Champions League semi-final second leg against AS Roma on Wednesday. 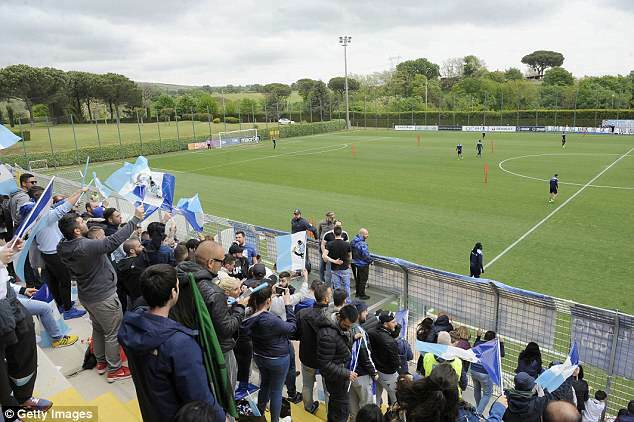 Andrea Cecchini, president of a state police operation whose match-day strategies are some of the most outdated in Europe, also criticised Liverpool’s decision to train at the Formello training base of AS Roma’s arch rivals, Lazio. 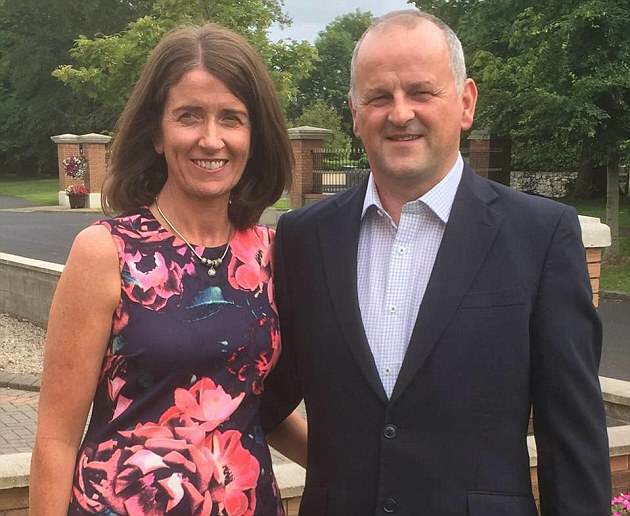 He then launched an attack on British police, accusing them of failing to maintain order before the first leg, where attacks have left Liverpool fan Sean Cox fighting for his life and in an induced coma. Cecchini’s claims about travelling Liverpool ‘Ultras’ are ridiculous – not least because British banning order legislation means that known troublemakers have to surrender their passports before a game like this. His comments may reflect local irritation with British police attempts to involve themselves in preparations for this week’s second leg. ‘The English police come to Rome to check out the situation and dictate the rules,’ he said. However, several sources in Rome have told Sportsmail that they do question the wisdom of Liverpool’s decision to train at Formello. ‘Some will see it as embracing Roma’s enemy,’ one said on Saturday. Lazio spokesman Arturo Diaconale has this week reiterated that there is no such alliance between any of the two clubs’ fans. The Italian police chief’s comments will only compound Liverpool’s frustration at a lack of co-operation from Italian authorities, as they seek to keep their fans safe following last Tuesday’s attacks. 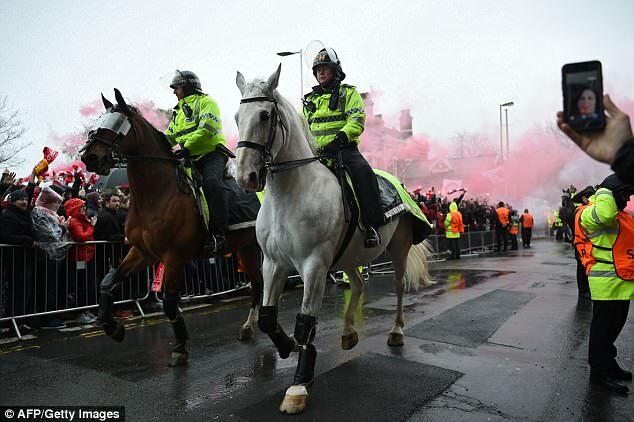 It is understood that one of the biggest football policing operations that the Italian capital has known – involving 2,000 officers – will be in place on Wednesday, with 3,500 Liverpool fans expected in the capital. The timing of the tie is less than ideal. 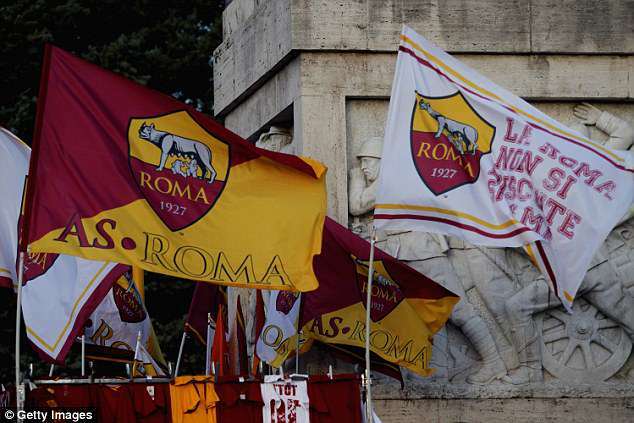 There are concerns that a huge union-organised May Day festival on Tuesday in Piazza San Giovanni could create potential for clashes between fans of the two teams. 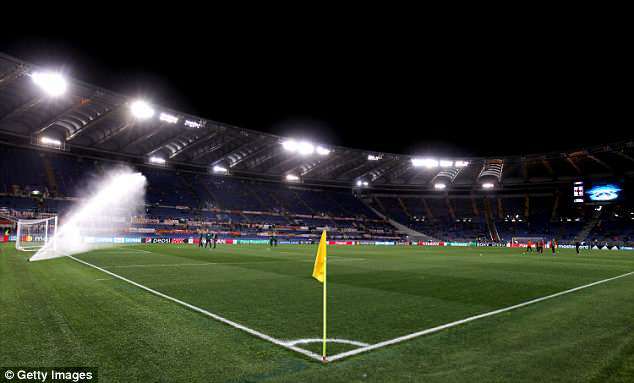 An alcohol ban will be in place around the Stadio Olimpico. Police have communicated very few operational details to Liverpool, whose basic request for a fact sheet outlining coach routes for supporters from the airport and to the stadium has yielded no response. Nor had the club been told about the alcohol ban – despite wanting to inform their fans, some of whom are expected to travel on Sunday. Italian police pride themselves on toughness with hooligans but have failed to adopt modern, intelligence-led football policing models, in which ‘spotters’ operate among crowds looking to identify violent individuals, whose movements are then tracked. Consequently, they were incapable of stopping those who wreaked havoc in Liverpool from travelling – even though those thugs belonged to a small and well-known Ultra brigade. 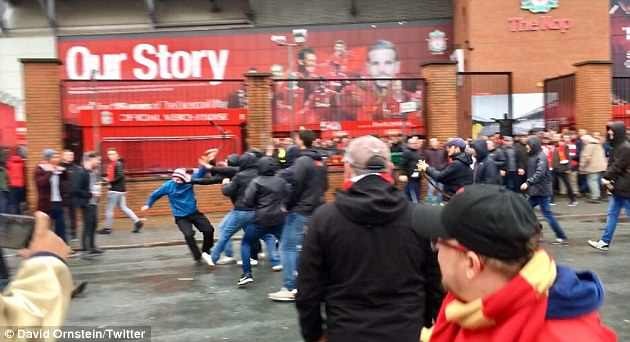 However, it was surprising that the group – wearing the same black hooded tops, talking to each and clearly conducting an orchestrated operation – were allowed to get near Liverpool supporters so close to Anfield, wielding belts strapped to their wrists. A large police presence is usually expected in the streets around a ground before kick-off. Views on where to lay the blame for Tuesday night’s events are mixed on the streets of Rome. There have been wild accusations about British fans, with one radio presenter claiming this week that Liverpool were ‘not lambs’. But AS Roma make no such claims. 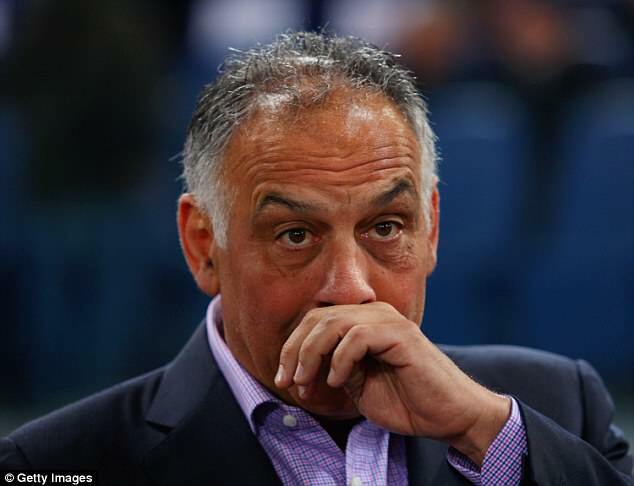 Their president, James Pallotta, has privately contacted his Liverpool counterpart Tom Werner, whom he knows personally, to express his disgust for those responsible for Tuesday’s trouble. The club tried to put last Tuesday’s 5-2 defeat and the violence off the pitch behind them on Saturday night with an emphatic 4-1 Serie A win over Chievo, in which their own equivalent of Liverpool’s Egyptian star Mohamed Salah shone. Stephan El Shaarawy, whose father is Egyptian, may start against Jurgen Klopp’s side after scoring a sublime solo goal and hitting the post. Two Edin Dzeko strikes also underlined Roma’s goal threat on home soil. Klopp appealed for common sense after his side’s more modest 0-0 Premier League draw against Stoke City and said that he would not pressurise any fans who feared for their safety to travel.